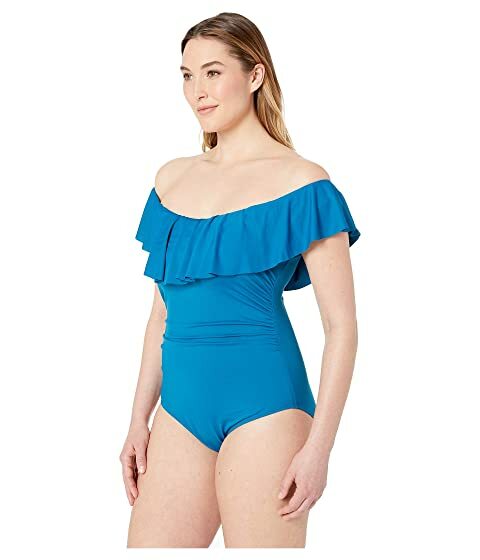 Put together an elegant poolside look with the La Blanca™ Plus Size Island Goddess Off the Shoulder One-Piece swimsuit. Ruffle trim accents the front neckline. Off-the-shoulder design with removable and adjustable shoulder straps.